Target has revealed that the company will be closing 12 of its stores indefinitely. The chain said the 12 stores will remain open through the holidays and will finally shut their doors on February 3. In Minnesota, two Target stores will be closing along with two in Illinois and two in Michigan. Maryland, Florda, Kansas, Georgia, Louisiana and Texas are among the other states that will be losing Target stores in February. 'This decision was not made lightly,' Target spokeswoman Erin Conroy told the Detroit Free Press. 'We have a rigorous process in place to evaluate the performance of every store on an annual basis, closing or relocating underperforming locations as needed,' she added. According to Target, the 12 stores closing have lost profitability throughout the years. The company said the store closings are all a part of a natural process to try and weed out the stores that are not doing well and expanding with promising new ones. Target is opening 32 new stores in 2017, with plans to open 35 new stores in 2018. 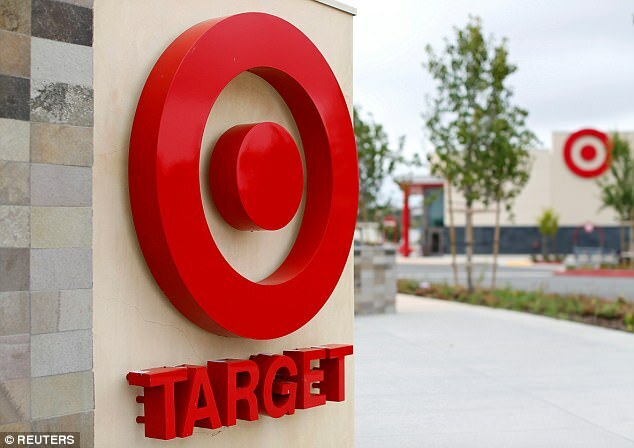 Target also announced plans to accelerate the number of store remodels to more than 1,000 by the end of 2020 and expand its Restock program nationwide next year. 'We're elevating every aspect of how we serve our guests, including reimagining hundreds of stores, opening new small-format stores, introducing new and exclusive brands, pursuing an aggressive digital strategy and transforming the way we replenish our stores and get products to our guests,' said chairman and CEO Brian Cornell. Earlier this year, Target fell victim to online phenomenon Amazon. Target missed the mark on analysts' earnings expectations in February revealing that its sales were weaker than expected. The chain projected a slump through the rest of the year, sending its stock price plunging. Target said it is accelerating its transition to digital sales as it, along with Walmart, battles with Amazon. Cornell said 2018 will be a 'year of investment,' though a return to growth won't come until 2019. IN THE CROSSHAIRS: IS YOUR TARGET ON THE LIST?